Excellent PizzaExcellent pizza and pasta dishes.We ordered penne vodka, Caesar salad and an eggplant parm sub. The best pizza joint. Excellent pizza and pasta dishes. The staff couldn't be any friendlier and the owner is kind and generous. We stopped in for a quick couple of slices to go and even though the service was quick , the pizza was not great. I found it dry and flavorless. Maybe a fresh made pizza would be better. We had food delivered to our hotel. Service was quick. We ordered penne vodka, Caesar salad and an eggplant parm sub. The pasta dish and the sub were hot and delicious. We would definitely order from there again. 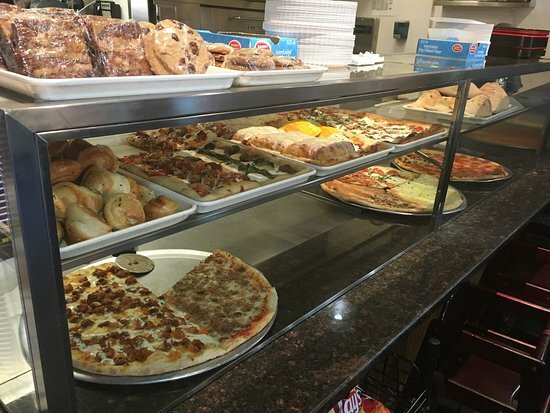 We only have only tried the pizza and salad but have never been dissapointed. We like the Margarita pizza and the Compo Salad. The salad is huge and could easily be shared. 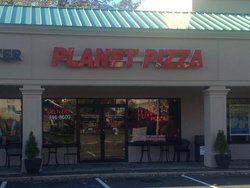 Get quick answers from Planet Pizza staff and past visitors.